Welcome to the ODN Outlook an update on our progress and a peek into things to come. Our early December launch is just around the corner, with our new website featuring updated messaging, a series of marketing videos which included live actors, shot on a London-based set, updated ODN wallet links, and other resources. Besides this, the Blockexplorer and more information to help new users become familiar with Obsidian. We are combining a refreshed look for first-time visitors, with all of the technical details and data for our established ODN community. Speaking of community, we recently launched a new Discord channel, because we think it provides more secure ways to interact. Over the past few months our Obsidian messenger development team have been boosted with additional funding from OPL in order to meet the promised release date for the Android APK. Daniil, Claus, Vaughn, and Pete have been hands-on testing the mobile application in Munich, Germany, with other members of the community. We hope to roll out community testing and bug fixing before Christmas this year. New users are guided through generating private keys and Obsidian IDs, this is a process we hope to refine in future before we then look at a UI overhaul and Google Play store submission in due course. Initially we are looking to perform audits across our code bases, to help ensure our community is safe from hacks and security vulnerabilities. 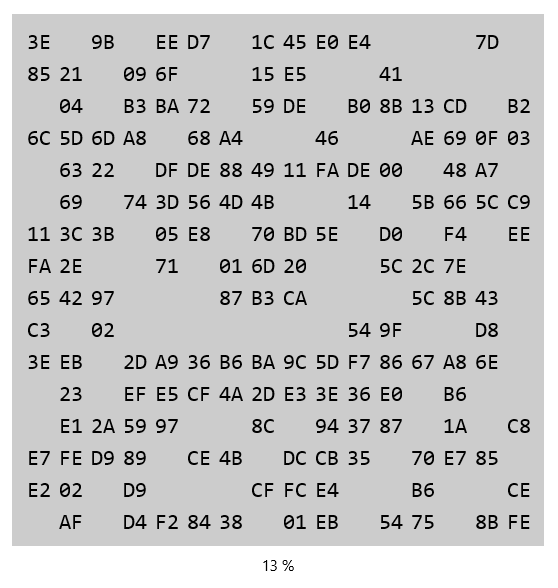 Obsidian IDs are truncated public key hashes of the user’s public key. Because of this change, a certain level of message authentication is automatically available without comparing the full public key. It will also allow the implementation of anti-spam strategies. Example of what the Obsidian user ID could look like in future. As users generate a new Obsidian messenger private key, additional random data is included with touch movements. Another development team is also working on continuing to refine our Obsidian Node dashboard, ObsidianXXL. Here we have welcomed another full-time team member from the Obsidian community, Pixxl, to assist with Blockchain development and a range of other development and user interface improvements across all our products. 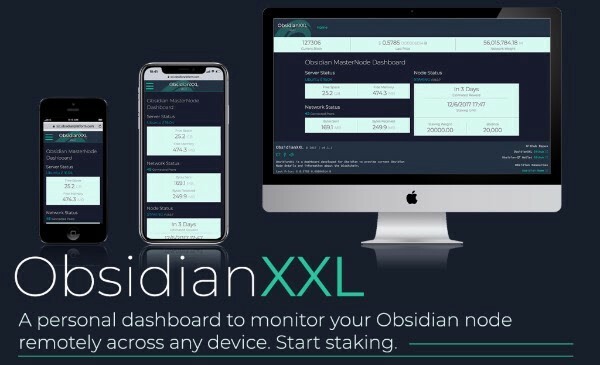 We are excited to release the optimized and user-friendly XXL dashboard for all Obsidian node owners. Regardless of the current staking size, this dashboard will be available to download and set up on your machine. It will always be accessible for free. Updates will be released periodically adding new features and benefits. Explore the current ObsidianXXL dashboard today.